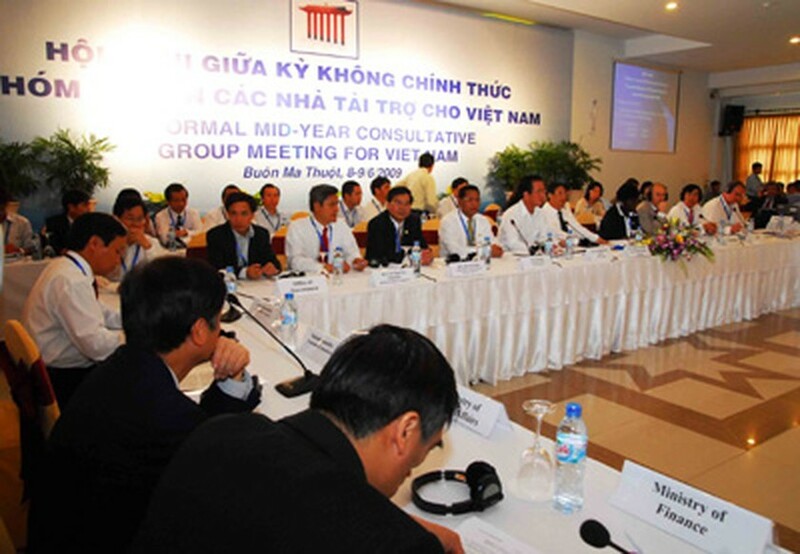 The Consultative Group (CG) for Vietnam, which includes bilateral and multilateral donors to the country, will hold its mid-year meeting on June 9 for discussion between the Government and donor agencies on development policies. The meeting will be held in Rach Gia City, the Mekong province of Kien Giang, a World Bank statement said Tuesday. The topics include an assessment of the macroeconomic situation, and policy priorities for 2010, the National Socioeconomic Development Strategy 2011-2020 and the Socioeconomic Development Plan 2011-2015, and responding to climate change challenge. The other topics are the Socioeconomic Development Plan 2015-2015, with focus on economic restructuring, inclusive growth and human resource development, according to the World Bank statement. As part of the CG process, the mid-year Vietnam Business Forum will be held in Hanoi on May 26 to discuss perception of the local investment climate, infrastructure, human resources development, administrative and tax reform. The CG for Vietnam consists of representatives of the Vietnamese Government and of bilateral and multilateral donors to the country. The Chairpersons of the CG are Mr. Vo Hong Phuc, Vietnamese Minister of Planning and Investment, and Ms. Victoria Kwakwa, Country Director for the World Bank in Vietnam. Last year’s CG Meeting was held in Hanoi in December where donor countries and international development organizations committed over US$8 billion in support of Vietnam’s poverty reduction and development agenda.